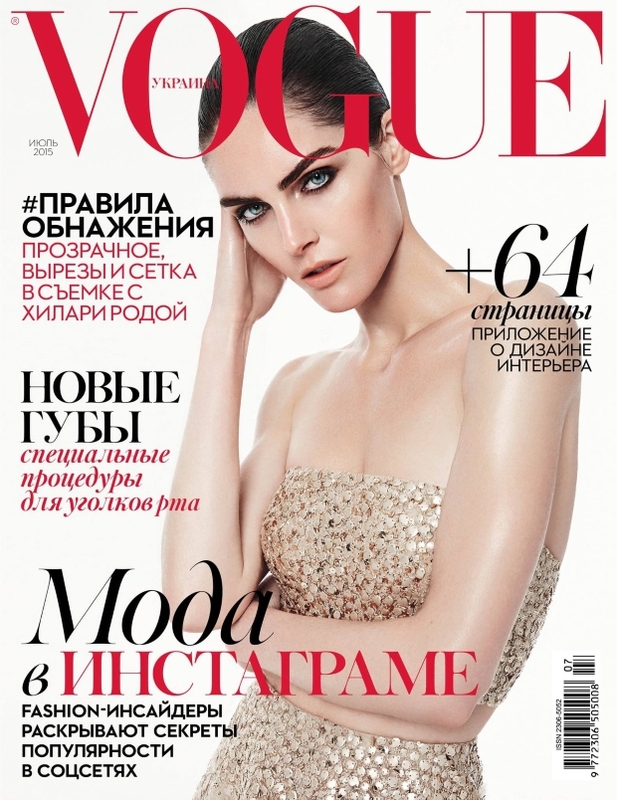 We always complain when magazines deliver a messy and chaotic cover shot and Vogue Ukraine clearly heard our cries when considering its July cover image. After last month‘s disaster, the title asked Hilary Rhoda to pose before the lens of Jack Waterlot, delivering a minimalist fashion spread for the occasion. On the cover, Hilary wears a glistening top and skirt by Oscar de la Renta and sports pieces from Balmain, Akris and Alexander Wang in the cover story. Forum members couldn’t wait to add their two cents. “This looks so dated. Like it’s a reprint from Vogue Japan circa 2006. Vogue Ukraine needs to try harder,” announced MON, who soon was left standing alone as more positive reviews began to flood in. “Love the cover shot! It’s very dated, but a refreshing angle for them. Hilary is great at posing and that smile draws you right in,” applauded Benn98. “I think it is their best cover in months although it looks like a cover from 15 years ago,” added GlamorousBoy. “I think the cover is amazing. So sleek. It does feel late 90s/early 00s but in the best way possible. Hilary looks really good,” raved MyNameIs. Be sure to check out Hilary’s accompanying cover story, which is even better than the cover shot, right here inside our thread.